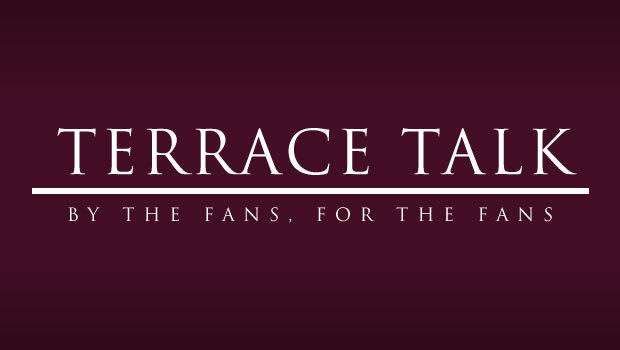 AVFC | Aston Villa Life - An Aston Villa Blog and Mobile Site for iOS and Android > Aston Villa Blog > Columns > Talk Tactics > Summer Transfers: What Will Ian Culverhouse Bring to Villa? After looking through the Villa news yesterday, I was tempted to write about the claims that Tottenham had apparently made a bid of an undisclosed amount of money, plus Jermain Defoe, for Christian Benteke. I wanted to talk about the various possible advantages and disadvantages were such a deal to be made; but, truth be told, there’s not a great deal to say on the matter. It would be a terrible piece of business for us, and it almost certainly isn’t going to happen. A more interesting story, however, was one I read in the Birmingham Mail that took a look at Ian Culverhouse’s work as Paul Lambert’s No. 2, both at the training ground and, perhaps more significantly, in spotting new players. With the season over and much of our attention now turned – until September – towards the search for new players, it seems right that we consider the efforts of the man who has been integral to Lambert’s player recruitment since they first worked together at Wycombe seven years ago. Their arrival at Villa last summer saw the establishment of a new transfer policy for the club; one which tends to favour the signings of young (with the odd exception), relatively unknown players from the lower tiers of English football and less well covered foreign leagues. While much has been made of this policy given the apparent lack of ‘proven Premier League quality’ (causing us fans a lot of grief at times throughout the last season), with the benefit of hindsight as we secured top flight safety, most Villa fans seem to agree that the signings we made last season were, on the whole, not bad at all. Although the jury may still be out on a couple, the varying successes of the likes of Benteke, Lowton, Westwood and Sylla should have been enough to fill us with confidence that there is a guy at Aston Villa who knows what he’s doing when it comes to transfers. Given the well-documented issues certain previous managers have had in this department, we should find it refreshing that we finally have someone who can spot decent footballers outside of the Premier League who not only come at reasonable prices, but who also want to play for Aston Villa (Benteke’s not gone yet!). As the summer rolls along and transfer rumours become both more interesting and at times more believable, our transfer policy doesn’t seem set to change too much. The likes of Aleksandar Tonev, Ivelin Popov, and Younes Belhanda have all been heavily linked and all fit the criteria of being relatively young and not very well known, although the potential signing of Belhanda for a mooted €15 million indicates that the club may still be willing to pay big money if need be. While none of the names mentioned may end up at Villa Park, and others (hopefully some defenders) are yet to have been linked, it seems certain that with Lambert and Culverhouse in charge we’ll be seeing more of the same; so hopefully no overvalued, overpaid or over-the-hill players coming into the club this summer and I’m back to finishing this article the way I started it: no Jermain Defoe. This entry was published on June 6, 2013 / Sam Gee. Posted in Aston Villa Blog, Talk Tactics and tagged "Aston Villa Football Club", "aston villa life", "Aston Villa Survival", "aston villa tactics", "Aston Villa", aston villa transfers. Bookmark the permalink. Aston Villa Life contributing writer Sam Gee reflects on Paul Lambert's and Ian Culverhouse's roles during transfer season.